Win Gaming Media Inc., (OTC.BB: WGMI) a leading provider of online trading of binary options, today announced that on June 5, 2011, it has closed an agreement for the acquisition of the entire activity & intellectual property of EZTrader.com, a major player in online trading of binary options. Pursuant to the agreement, which was signed on May 4, 2011, WGMI, through its fully-owned subsidiary in Cyprus, is now the owner of a proprietary software platform for online trading of binary options, the domain name www.eztrader.com and a data base in access of 50 thousand registered and active customers. With this latest acquisition, WGMI features 3 online trading sites: www.Globaloption.com in 5 languages – English, Arabic, Spanish, German and Russian; www.Options.co.il in Hebrew, for the Israeli market and the newly acquired platform www.eztrader.com. More languages are scheduled to be added during 2011. “We are excited with the acquisition of EZTrader.com, its proprietary software and its significant data base,” commented Shimon Citron, CEO of Win Gaming Media. Mr. Citron added that, “the consolidated activity of all 3 platforms, which is based on EZTrader’s performance during the months of April & May 2011, indicate a monthly deposit pace in access of $400K per month, from which we are to benefit as of June 5, 2011. The amalgamated activity should move our company to profitability”. Binary options are a simple investment tool where investors can receive short-term returns much greater than in most other types of investments. Traders of binary options simply predict the direction of the change in an underlying asset, instead of forecasting its price. In this way, he or she will gain either a large profit or a marginal return. With binary options, traders can predict the direction of a variety of assets, which are set to expire in an hour or at the end of the trading day. Traders use their knowledge and familiarity of capital markets to decide their trades. Binary option pays the investor a pre-determined cash amount on the sole condition that the option would expire in-the-money. This cash amount is set forth in the option’s terms and is the same regardless of the degree to which the underlying asset’s price moves in the holder’s favor. About Win Gaming Media, Inc.
WGMI is engaged in the business of offering worldwide online trading of binary options. 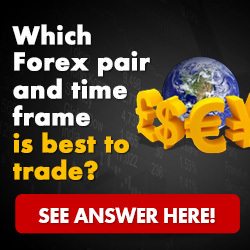 The Company entered the binary options business in November 2009, and since March 28, 2010, has been offering online trading of binary options through its wholly-owned Cypriot and Israeli subsidiaries, WGM Services Ltd., and B Option Ltd., respectively. Specifically, WGMI’s online binary options trading business is aimed at investors who seek to realize profits from their investments within a short period of time. WGMI operates solely through its wholly owned subsidiaries: (a) Win Gaming Media, Inc., a Delaware company; (b) Win Gaming Media (Israel) Ltd., an Israeli company; (c) WGM Services Ltd., in Cyprus. All references to “WGMI” refer to Win Gaming Media, Inc. and its consolidated subsidiaries. This press release contains forward-looking statements. Forward-looking statements are based on certain factors and assumptions including expected growth, results of operations, performance, business prospects and opportunities, foreign exchange rates and effective income tax rates. For example, when we say that more languages are scheduled to be added to our online trading websites during 2011 or that the consolidated activity of all 3 platforms, which is based on EZTrader’s performance during the months of April & May 2011 indicate a monthly deposit pace in access of $400K per month, from which we are to benefit as of June 5, 2011, or that the amalgamated activity should move our company to profitability, or when we discuss the binary options investment tool and the potential return on investment that investors who trade binary options may have, we are using forward looking statements. While the company considers these factors and assumptions to be reasonable based on information currently available, they may prove to be incorrect. Investors are cautioned that all forward-looking statements involve risks and uncertainties including, without limitation, risks associated with the company’s financial condition, prospects and opportunities, legal risks associated with the binary options trading industry and risks of governmental legislation and regulation, risks associated with market acceptance and technological changes, risks associated with dependence on licensees and key licensees, risks relating to international operations, risks associated with competition and other risks detailed in the company’s filings with securities regulatory authorities. These risks may cause results to differ materially from those projected in the forward-looking statements. For a more detailed description of the risks and uncertainties affecting the company, reference is made to the company’s most recent Annual Report on Form 10-K, which is on file with the Securities and Exchange Commission. Forward-looking statements are given only as at the date of this release and the company disclaims any obligation to update or revise the forward-looking statements, whether as a result of new information, future events or otherwise, except as otherwise required by law.